Mastercard debuts its sonic brand identity, a comprehensive sound architecture that signifies the latest advancement for the brand. The Mastercard melody will aim to provide a simple, seamless familiarity. The news comes on the heels of the company’s recent transition to a symbol brand and is part of its continued brand transformation. "Sound adds a powerful new dimension to our brand identity and a critical component to how people recognise Mastercard today, and in the future," says Raja Rajamannar, chief marketing and communications officer, Mastercard. "We set out an ambitious goal to produce the Mastercard melody in a way that’s distinct and authentic, yet adaptable globally and across genres. It is important that our sonic brand not only reinforces our presence but also resonates seamlessly around the world," adds Rajamannar. The result, a melody with adaptations across genres and cultures, which, according to Mastercard, makes it locally relevant while maintaining a consistent global brand voice. In addition, the use of varying instruments and tempos aim to deliver the Mastercard melody in several unique styles such as operatic, cinematic and playful as well as a number of regional interpretations. 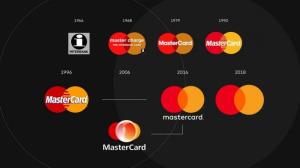 "With the introduction of the new visual identity in 2016, and our most recent evolution to a symbol brand, we are continually evolving to meet consumers’ ever-changing needs while maintaining the simple, secure and seamless experience people have come to expect from Mastercard," says Beatrice Cornacchia, senior vice president, marketing and communications, Middle East and Africa, Mastercard. "Sound is our next frontier for brand expression and a powerful way for us to create an emotional and culturally relevant connection with consumers," adds Cornacchia. "What I love most about the Mastercard melody is just how flexible and adaptable it is across genres and cultures," says Shinoda. "It’s great to see a big brand expressing themselves through music to strengthen their connection with people." With voice shopping set to hit $40-billion by 2022, audio identities not only connect brands with consumers on a new dimension, but they are also tools enabling consumers to shop, live, and pay in an increasingly digital and mobile world, says the team at Mastercard. "Audio makes people feel things, and that's what makes it such a powerful medium for brands," adds Matt Lieber, co-founder and president, Gimlet. "With the explosion of podcasts, music streaming and smart speakers, an audio strategy is no longer a 'nice-to-have' for brands – it’s a necessity. A sonic identity – the audio calling card for a brand – is now just as important as a brand’s visual identity." In the lead up to the 61st GRAMMY Awards®, Mastercard will launch a new multi-channel marketing programme starring GRAMMY-nominated artist Camila Cabello, which will be the first creative output to feature the brand’s sound logo. "I am so excited to be partnering with Mastercard and being able to offer new opportunities to fans," says Cabello. To learn more about the evolution of the Mastercard brand, and to hear the suite of sounds that make up the Mastercard audio identity, please visit the Digital Press Kit. For more information, visit www.mastercard.co.za. You can also follow Mastercard on Facebook or on Twitter.